The SuperChefs Camp is a four day camp in which kids are immersed in the world of food, cooking and nutrition skills for them to last a lifetime. The camps are organized under the guidance of the SuperChefs Executive Chefs that collectively have won International Culinary Awards, prepared meals for world leaders, manage culinary operations for famous celebrity chefs and create menus for hotels around the globe. SuperChefs simple knife skills are taught initially, followed by more challenging techniques once these basic skills are mastered. Nutrition lessons and food science classes are also taught by UBC dietetic faculty are incorporated into the program. Rounding out the day are classes with Nationally certified basketball coaches and soccer coaches to make sure kids have fun both in the kitchen and in the gym or outside on the playing fields. SuperChefs camps are also the testing grounds for the Westin Kids Eat Well menu, which is a global brand standard children’s menu offered in every Westin Hotels and Resort around the world. Kids have a chance to make or design new recipes that could end up on the dishes of hotel guests thousands of miles away. 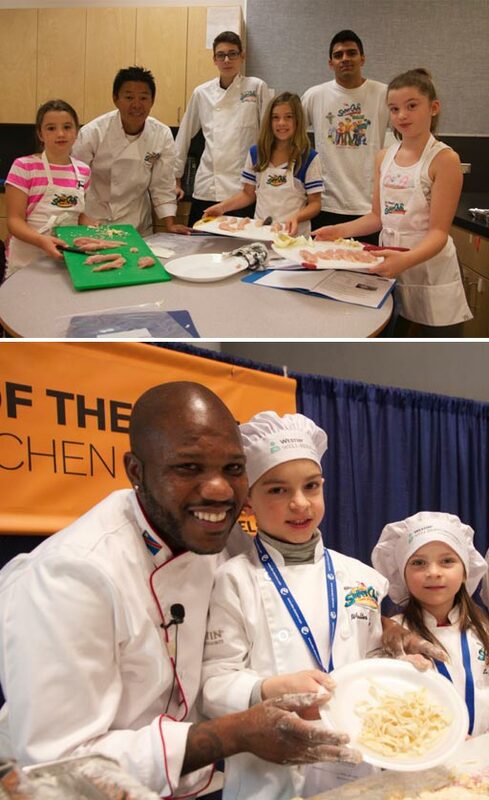 As well, SuperChefs campers are invited to several SuperChefs events in the lower mainland as well as across North America to inspire other kids to Cook Up Fun in the kitchen! 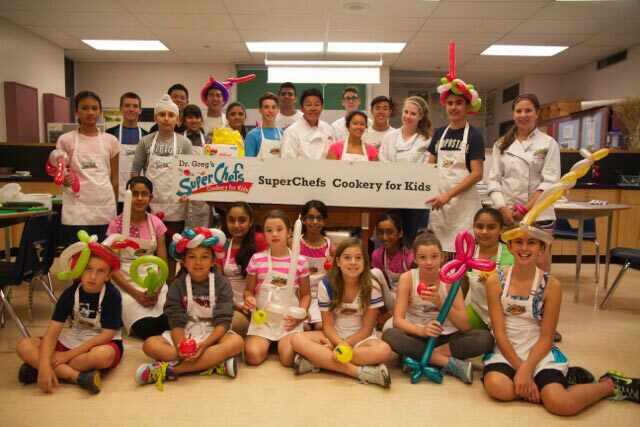 We have Level 1 & Level 2 camps that our SuperChef kids go through in two consecutive summers. Level 2 builds on the skills of Level 1 and culminates in a fun field trip to the Westin Kitchens and local markets. Our goal at these camps is for kids to have confidence in their FACES : Food Literate, Aware of our food systems, Competent in cooking skills, Engaged in physical activity and Savour balanced food choices. Come Join the Fun! SuperChefs Cookery for Kids goal is to entertain and educate young children about the power of eating good food and sharing the joy of cooking. If you would like to join the waiting list for SuperChefs Cookery Camps for kids ages 8-12 years, please fill out the following form. If you would like a response, please double-check that your email address is correct. We do NOT publish your email on our website or any other online outlet.